The recent U.S. Supreme Court decision Utah v. Strieff chipped away at the Fourth Amendment's protection against unlawful stops by the police. 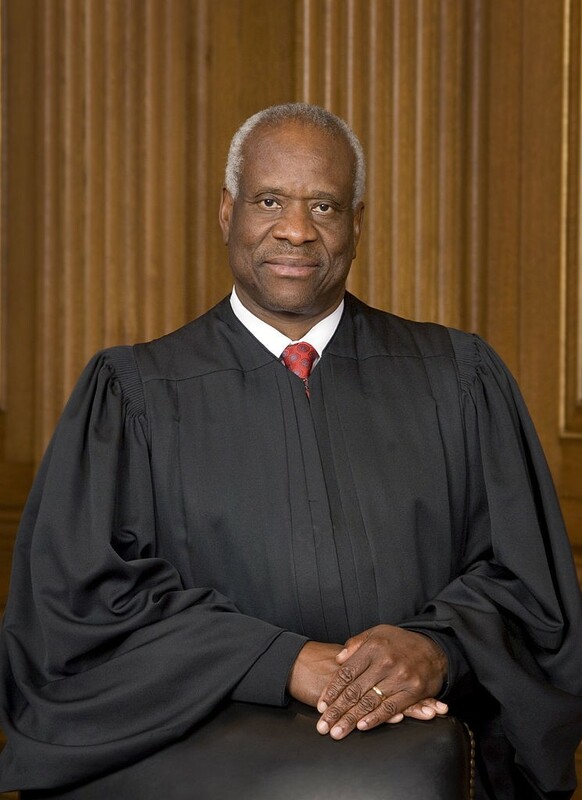 In a 5-3 decision, Justice Clarence Thomas wrote for the majority that a Utah narcotics detective's unconstitutional stop of Edward Strieff, who he suspected of having just purchased drugs, was excusable because it turned out Strieff had a warrant for a traffic violation. Justice Sonia Sotomayor, who wrote a pointed dissenting opinion joined in part by Justice Ruth Bader Ginsburg, put it this way: "This case allows the police to stop you on the street, demand your identification, and check it for outstanding traffic warrants — even if you are doing nothing wrong." Under the Fourth Amendment's "exclusionary rule," evidence gained as a result of an unlawful stop cannot be used in court, and the idea behind that is pretty simple. If the police and prosecutors can use evidence that resulted from illegal policing, where is the incentive to play by the rules? The case presents some difficult questions: Should we allow cops to violate citizens' constitutional rights if it turns out after the fact that their guess was correct? Do we want criminals turned loose because of a technicality? And how will this decision — allowing police to stop someone without articulable cause — impact minorities, people of color and the indigent? Invoking the writings of James Baldwin, Michelle Alexander, W.E.B. Dubois and Ta-Nehisi Coates, Sotomayor certainly had some thoughts on the matter: "By legitimizing the conduct that produces this double consciousness, this case tells everyone, white and black, guilty and innocent, that an officer can verify your legal status at any time. It says that your body is subject to invasion while courts excuse the violation of your rights. It implies that you are not a citizen of a democracy but the subject of a carceral state, just waiting to be cataloged." We reached out to several voices and players in the local criminal justice system to ask what effect they believe this decision will have on policing in America and specifically in Washington state. "I don't see policing changing across the nation, and Washington state especially can be more restrictive in what it allows police officers to do," Meidl says. "We need probable cause for arrest, and we will continue to follow the Terry v. Ohio guideline, which says in order for us to stop someone a crime has to have occurred, is occurring or is about to occur." He adds that the type of stop in the Strieff case could erode the public's trust in its police. "There is a lot of frustration from communities because they feel a lack of procedural justice from their police departments," he says. "Departments that intentionally try to apply this tool will have problems gaining or keeping the trust of their communities." Although he agrees that the Washington state constitution is more restrictive in what cops can do, that doesn't mean this federal ruling won't have implications for Washington state citizens. He points to joint task forces where state and federal law enforcement agents work together. "So if you get something seized by a state agent working with a federal agent, they can prosecute in federal court," he says, adding: "I think that's a bad decision, it's a terrible view. The [Fourth Amendment's] exclusionary rule is to protect people and not encourage this type of potential actions on the part of the police." "I agree with the majority. I'm sort of a law-and-order guy, and I think the ends of justice were served," McDevitt says. "However, I think if it becomes a pattern and practice where that sort of thing was not just permitted, but encouraged, I would have to say that's going a step too far." He adds: "There's a balance. The suppression of evidence is a pretty harsh result for an innocent or negligent mistake made by an officer. But I think what [Justice Sotomayor] said is instructive and we need to pay attention to that as well." "I certainly concur with Justice Sotomayor's dissent," Krzyminski writes in an email. "The majority's 'ends justify the means' argument erodes the 4th Amendment exclusionary rule." "The impact of the decision in the Strieff case will depend greatly on the laws and constitutions of individual states," Haskell writes in an email. "I have no leaning either way. The prosecutor's duty is to follow the law as the legislative branch writes it and the courts interpret it to be. Washington state law greatly restricts officers in factual scenarios such as presented in Strieff. Therefore, I do not believe Washington law will change greatly, if at all." "I'm afraid this is going down a slippery slope," Tyler says. "Data in our own city says people of color have been disproportionately stopped by police. It's almost as if you're giving them carte blanche to say 'he probably has a warrant, I'm going to stop him.' And everything he finds after that is golden. "The argument [from the majority] is that the stop was not misconduct, but I would say it is. I know many good officers, but there are some who will use this ruling to the detriment of the citizens." "The scenario in the Strieff case is kind of a 'shot-in-the-dark' kind of policing that strikes me as being fairly sloppy," Cozza writes in an email. "Most of the stops made by police for drug activity, etc are generally much more planned out by detective-level officers as opposed to uniformed officers like the case in Strieff." He adds: "The concerns that Justice Sotomayor expresses about the pervasiveness of warrants being issued in disproportionate numbers on the minority community MAY be an issue in some states, but Washington law has some significant differences. First of all, most traffic offenses of the type Justice Sotomayor writes about (jaywalking, parking tickets, speeding) were decriminalized in Washington over 40 years ago and re-classified as civil offenses subject to money fines only. ... So it takes a bit more effort to draw an arrest warrant here as opposed to Utah. "Much of the concerns expressed by Justice Sotomayor hearken back to the 1968 case Terry v. Ohio. ... The case holds that a police officer can stop an individual when the officer has a specific, 'articulable suspicion that criminal activity is afoot.' And proceed to frisk for weapons for officer safety. ... Thus based on the fact that Terry v. Ohio has been with us for some 48 years, I do not think that Strieff represents any big new ground being opened on the legal front. Most interactions with suspects would be governed by Terry anyway, and Strieff is only going to come up in a minuscule number of cases." What's at stake for a Supreme Court void of a criminal defense perspective?